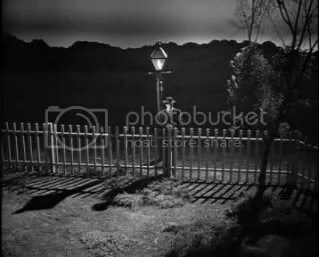 NIGHT OF THE HUNTER: Who is it scaring now? 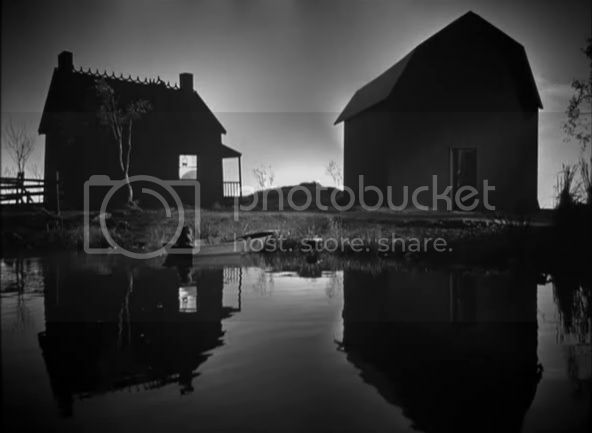 NIGHT OF THE HUNTER–WHO IS IT SCARING NOW? 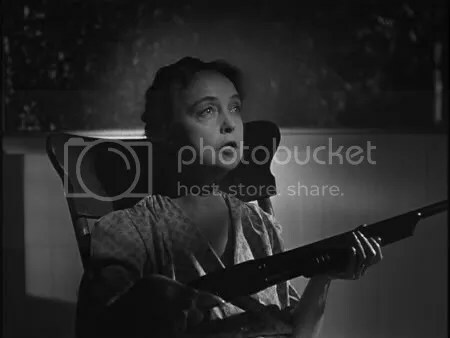 Screening 1955’s Night of The Hunter as a Guest Lecturer in a Film and Literature class afforded me the opportunity to answer some personal questions I had about the iconic film, but in a Film and Literature class, I knew I had my official scholarly chance because I wanted to know. Who is it frightening now? 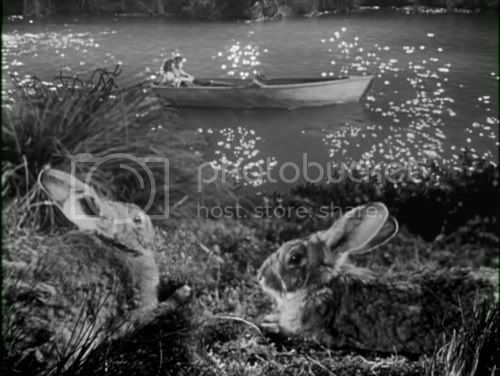 I had never actually seen Night of the Hunter until 2002, but I had read so much about director Charles Laughton’s first and only directorial effort that I had ordered it on DVD. I was sitting home alone after the UPS man had left me the package, and I unwrapped the plastic seal with a sort of hurried delight, hoping that the film I was about to screen was truly the gem the critics, biographers, and film historians claimed that it was, and I have marveled at the surprises and craftsmanship in Night of the Hunter ever since the man in the big, brown truck first hailed me to the entry hall to sign for the delivery. 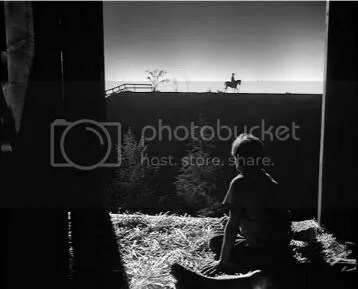 But the anticipation I felt prior to my first experience with Night of the Hunter was more than equaled by the revelation of the depth and beauty of the storytelling, and it is one of the few times in my life when I felt that the excitement and media hype surrounding a work of art was excelled by the joy of personally experiencing the creation itself. I had been one of the lucky pass holders who attended the screening of Night of the Hunter at the Turner Classic Film Festival 2013 this last April in L.A., and part of Shannon Clute’s enlightened introduction revealed the term “Biblical allegory noir,” a phrase he attributed to his collaborator, friend and co-author of The Maltese Touch of Evil, Richard L. Edwards, to aptly label Night of the Hunter’s special place in the pantheon of noir films. 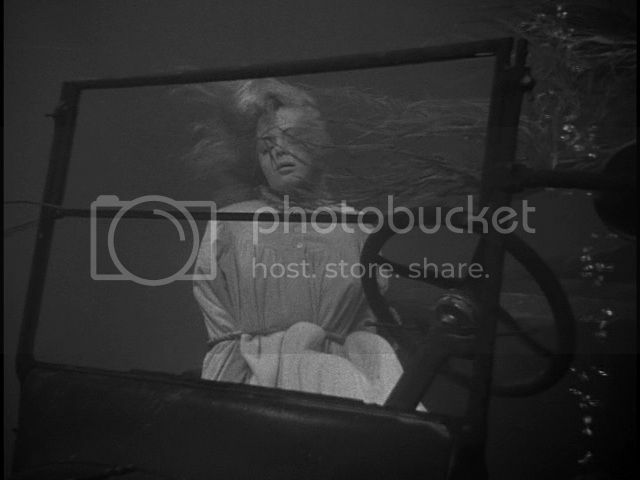 Steeped in Christian myth and director Charles Laughton’s sweeping vision of author Davis Grubb’s novel, Night of the Hunter reveals a haunting tale lifted from the real life exploits of a Depression era murderer and con-artist told to Grubb by his social-worker mother. The actual Harry Powers murders two women and three children before he was halted in his predatory tracks in the 1920s in Ohio. And if I hadn’t been able to meet author Preston Neal Jones, I would have never known about his fascinating book, Heaven and Hell to Work With, an in-depth study of the making of Night of the Hunter. Jones attended the TCMFF 2013 screening at 9:15 on Saturday morning of the festival in the Egyptian Theatre, and I had read Gish’s autobiography, and lamented to him that Gish only had one small paragraph about the making of Night of the Hunter in her book, and it didn’t reveal any of her experiences or emotions concerned with the filming of the iconic “Biblical allegory noir.” Jones discussed Gish, and how he had met her after a performance of a play she was in, his in-depth interview with her and her frankness and delight that he wanted her to talk about her experiences, and he revealed how much she enjoyed working with Laughton and the cast. Three days after the screening, I found myself in Larry Edmunds Bookshop, the only place to hunt for that long-searched for biography not on Amazon.com or a reprinted poster from a beloved film. As I was pouring through the vintage magazines at Larry Edmunds’ inner sanctum, who should arrive but Preston Neal Jones, and he autographed my copy of his book, Heaven and Hell to Play With, that I had just set aside at the register. We enjoyed more Night of the Hunter conversation, talked about Shannon Clute’s in-depth introduction to the film, and Preston Neal Jones left with a wave and a smile. 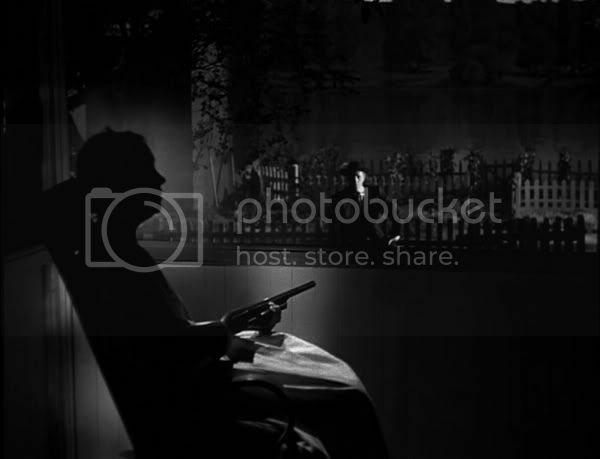 So before my experiment in terror took place last semester in Houston with a roomful of Film and Literature prodigies, I was able to relish Jones’ thorough research into the creation, filming, and marketing of Night of the Hunter. I tailored my introduction that fateful day with comments that wouldn’t surpass the experience and terminology of sophomore college students, my own interests and experiences with the subject and history of the film, and my TCM Fan Perspective video which has several short clips from Night of the Hunter, and is a good introduction to the film for those viewers who have never seen it before because there are no spoilers, but just enough exposition to excite a twenty-something in a captive audience. Then I began to screen the film and explained that I might stop the film from time to time if they had questions or if I wanted to discuss certain shots or reveal interesting bits of trivia. The first gasp occurs when the students hear Preacher Harry Powell as he is having his first conversation with God while driving along the river after the second unit helicopter shots. One female student puts her hands to her face in a small “oh, no” response, and several students reposition their chairs after this scene. Several of the males in the room make a kind of “ugh” sound when Powell is watching the exotic dancer and flips the switchblade in his pocket. One of the females makes another comment, but I didn’t hear it. Students would tense up and hold their breath during the scene where John finds Pearl cutting out paper dolls from the bills that had been stuffed into her doll, and even more quiet ensued during Willa’s last scene in the bedroom as students became more visibly tense as several students seemed to quit breathing and leaned in more closely to the screen. 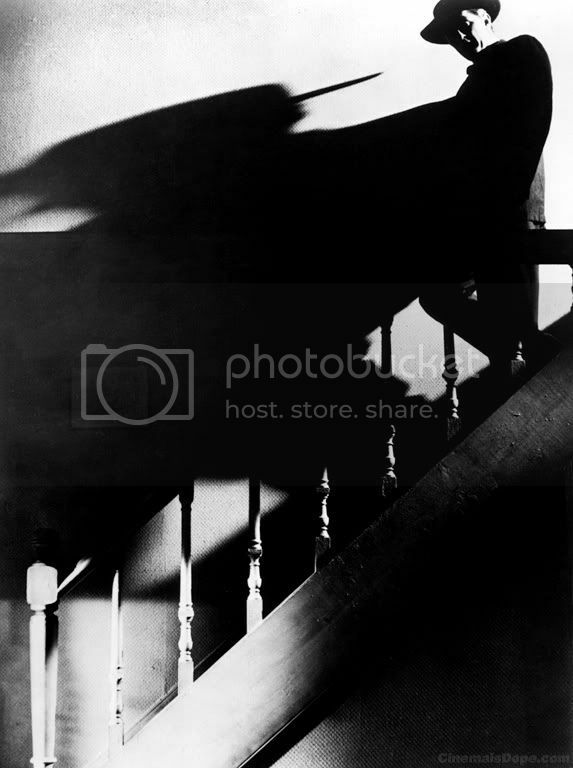 I heard an “oh, no” when Powell was looking for the children in the basement, and several students laughed when Powell scales the staircase with his hands outstretched in a grasp not unlike Frankenstein’s stalk, but that quickly turned into cheering when John slams the door to the basement on Powell’s hand, and the children make their escape on Birdie’s skiff. When they finally elude Powell’s damp grasp in the river, another group sigh releases the tension as the river music begins with the children’s journey. The college audience feels empathy with the flight of the children, and seems fascinated with the animals featured in the foreground. As John and Pearl are finally sleeping in the barn, John hears Powell singing a refrain of “Leaning On The Everlasting Arms,” and the boy cries out, “doesn’t he ever sleep?” At that moment, some students nod in agreement with him. The moment that highly incenses these 19 and 20-year-old students occurs when Powell calls Pearl a “silly, disgusting little wretch.” I heard the loudest audible comments, gasps, and sighs during the seconds after that statement because the cruelty of Powell’s comments to an obviously adoring child smashes Pearl’s sense of self like an anvil dropped from the top of a barn window. During the scene when Rachel and Powell are both singing “Leaning on the Everlasting Arms,” all viewers are attentive and intensely focused on the action, but quiet. The post film discussion often revealed how elements of our informed culture shaded and changed some perceptions of the classic film because of the heightened awareness of sexual abuse, the revelatory scandals of some latter day saints of the pulpit, and how easily townsfolk, namely people like Walt and Icey Spoon, could be fooled by lack of solid background information concerning Harry Powell’s origins. Students commented that they couldn’t “Google” him, or search for his Facebook account. And where did they laugh? Evelyn Varden’s picnic speech received some chuckles after her statement when she reveals how little she enjoys her private moments with Walt Spoon, and when Shelley Winter’s makes her prayer to “be what Harry wants me to be.” Students in the post-screening discussion thought that Winters’ platitudes were contrived and unbelievable, and that is the only other moment in the film where they laughed at it, not with it. It was also pertinent to explain to these students that during the 1950s, Icey Spoon’s revelation was quite a comment for an elderly woman to make at a picnic or onscreen in a major film, and these current college freshmen appreciated the social significance of the small town community picnic because it’s often an occasion where personal connections begin and romances spark, especially before the current explosion of social media and its implications. Audience curiosity was greatest concerning how the underwater scene was filmed when Birdie looks down and sees Willa in the car at the bottom of the river, and students were surprised that it was a mannequin with Shelley’s plaster face cast. They loved that scene, and after I discussed it in detail, they wanted me to screen it again. 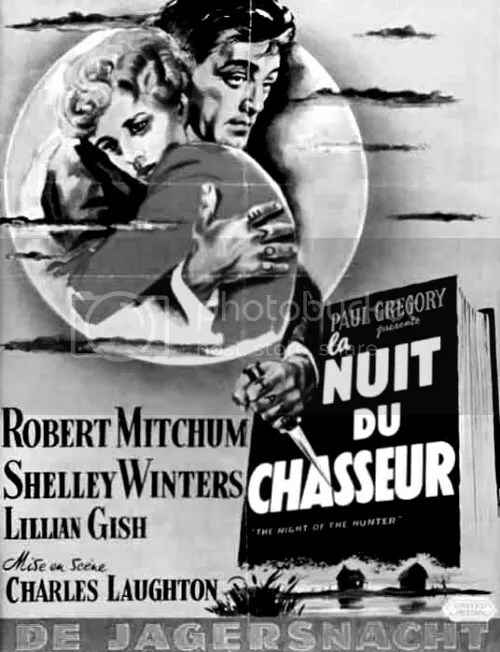 In 2007, Cahiers du Cinema ranked Night of the Hunter #2 in its list of 100 Most Beautiful Films while it ranked #34 in the AFI’s 100 Years…100 Thrills list, and 58 years after the release of the screen translation of Davis Grubb’s novel under the direction of Charles Laughton, the initial weak reception by audiences and most critics has been eclipsed. Night of the Hunter is still effective for it “abides,” and it still frightens. Just ask a room full of college sophomores or watch the most recent testament to its power, one of the latest entries in TCM’s Ultimate Fan Contest.